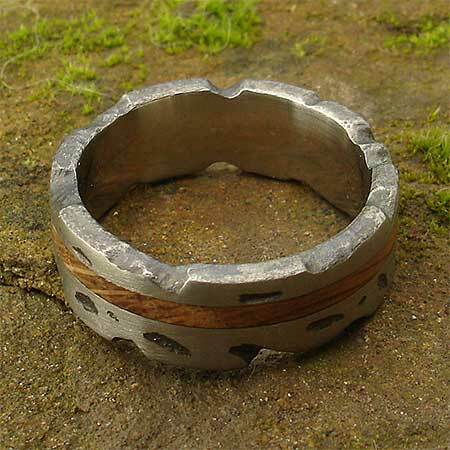 Heavily Textured Wooden Inlay Silver Ring : LOVE2HAVE in the UK! 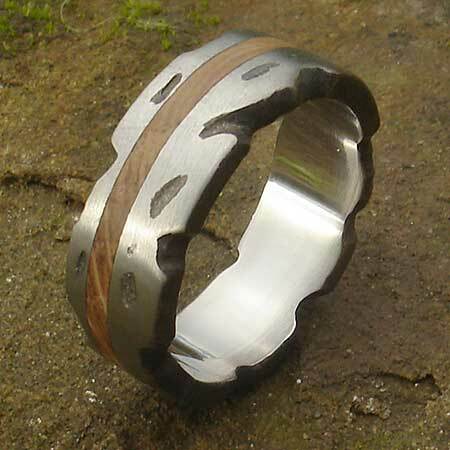 A textured silver and a wooden inlay ring based on the popular wider model we also sell. Silver indeed is a very versatile metal and the rings we feature on our site demonstrate the lovely intricate designs produced from this super substance. 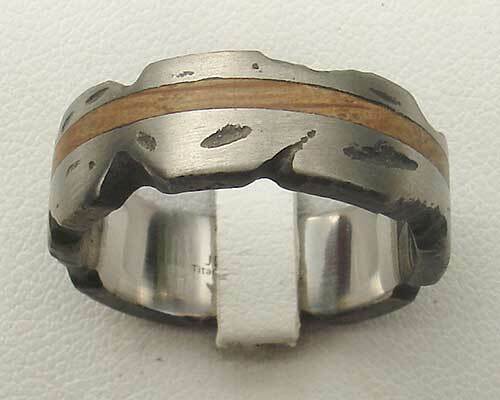 This particular flat profile ring is unique as it is a combination piece of both wood and silver. The silver comes worked into a pitted texture created by being heavily beaten, and the edging has an uneven appearance also. The darker areas in the silver, which are the hammered marks, are oxidised black to create a different appearance reminiscent of rock. It measures 8mm in width and the wooden inlay made from Oak measures 2mm. The wall thickness is approximately 2.3mm, which makes a beautiful thick ring for your finger.